There are a number of places that you can use 'Markdown' which is plain text formatting. 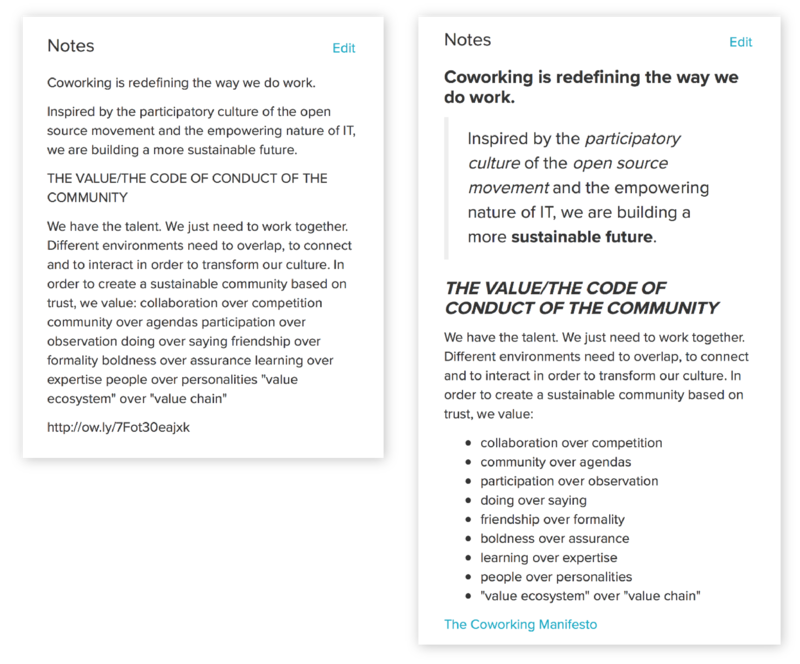 Text formatting within coworking software might seem a little frivolous. However, there are a number of benefits that this offers in some key areas within Habu which I'll run through after explaining more about how to use Markdown. There are a host of other ways you can format your text too, but let's stick with a short summary of the one's that are most likely to be useful to you on a regular basis. Hyperlinks are also extremely useful too. For example, if you use any kind of online or collaborative document storage (Dropbox, Google, etc), you can create an active link within a booking or contact. For a comprehensive list of what you can do you can read more here.